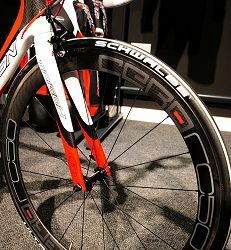 Above: The Trigon RQC31 full carbon monocoque frame in the showroom at MotoDirect. Behind the bike, the clothing the company produces as well. 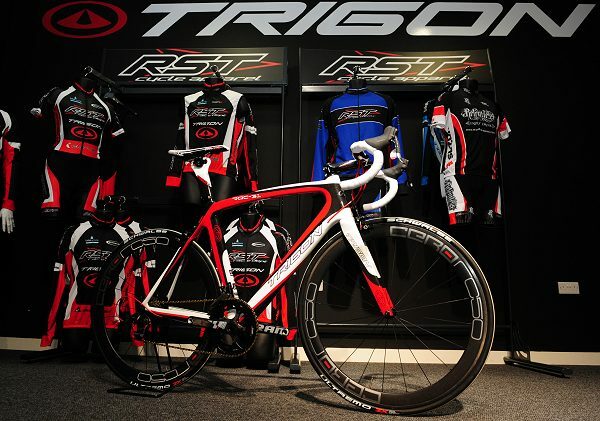 The bike, distributed by the cycle division at Motor Direct near Derby sits alongside the RQC29 as the flagship model for Trigon. The company, where the likes of cyclists Chris Walker (Milk Race winner), Gareth Hewitt (Cycle Division) and Jonny Towers (director of the company) have progressed from leading the market with motorcycle clothing (RST) to forming a cycle division selling RST cycle clothing and Trigon bikes. 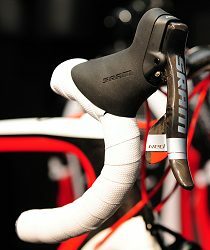 In 2012, they will also have their own brand of bikes called Curve. They already have their own youth team where Chris Walker’s daughter has progressed from there to riding for Horizon Fitness/Prendas Ciclismo in 2012 andthis winter both Grace Garner (sister of World Champion Lucy) and Abby Mae-Parkinson have won Youth National Trophy events on the Trigon cross bike. Next season, Sweden’s Gunnar GrÃ¶nlund will lead a senior team on the road for RST/Trigon. The bike pictured is one of the production samples being put through its paces by the Cycle Division team and being seasoned riders on the Rotherham chain gang, that really does mean a rigerous workout! Some of the RST/Trigon team will be on this model later in 2012. 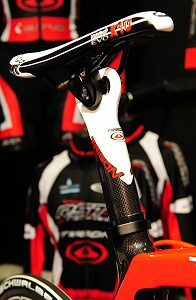 The new model should be available by Spring 2012 and the cost for frame, fork, headset and seat post is expected to be around Â£1,450 (approx). Weight :Â 980g (frame only in size 490mm)Â with 5 sizes available. 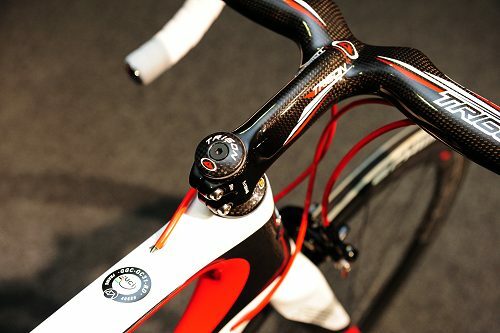 Constructed using Trigonâ€™s Hi-modulus Venus C8 carbon composite with full internal cable routing design which offers a cleaner look and protects cables from the elements, there are alsoÂ Trigon accessories such as bars and stem available. 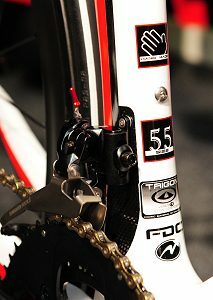 The bike is UCI Complaint for competition. The frame has a 1 1/8″to 1.5″ tapered head tube design which improves torsional stiffness and strength to the front end handling. 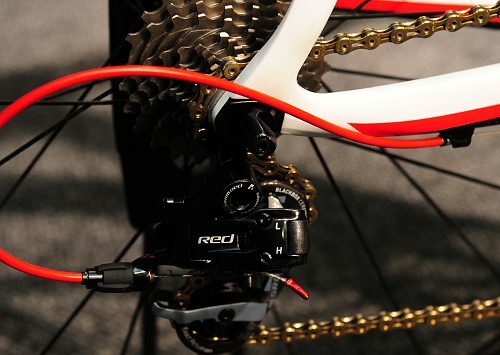 SRAM Red components on this test machine. 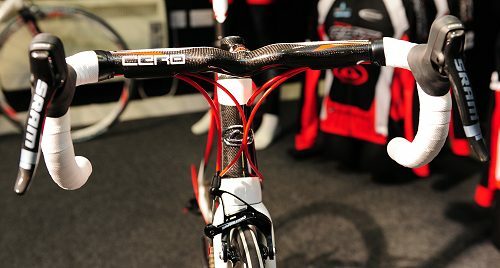 Integrated carbon dropouts to rear stays for lighter weight.